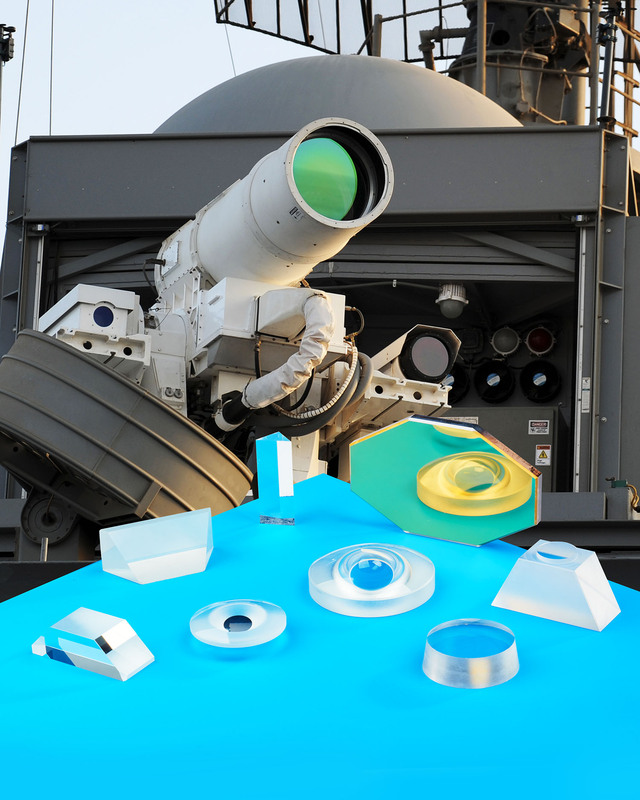 Custom fabricated sapphire lenses that are ideally suited for military vision system applications which are subject to severe, demanding environ- ments are available from Meller Optics, Inc. of Providence Rhode Island. Meller Sapphire Lenses can be custom fabricated in concave, convex, and meniscus configurations for use in FLIR, thermal imaging systems and sensors, missiles, and related vision systems. Highly resistant to fast moving dirt, saltwater, extreme temperatures, and high pressures, sapphire, of course, these lenses feature Mohs 9 hardness which is second only to diamond in terms of hardness. Offered in 1” to 9” O.D. sizes with surface finishes from 60-40 scratch- dig, the flatness of Meller Sapphire Lenses held to 0.5 fringes of HeNe, and parallelism from 20 to 2 arc/secs. can be achieved, depending upon configuration. Providing up to 85% transmission uncoated from the UV to IR and 99% transmission when A/R coated on both sides, they can operate at 1,000°C and 10,000 psi. Meller Sapphire Lenses are priced according configuration and quantity. Price quotations are provided upon request and delivery is 12 weeks.